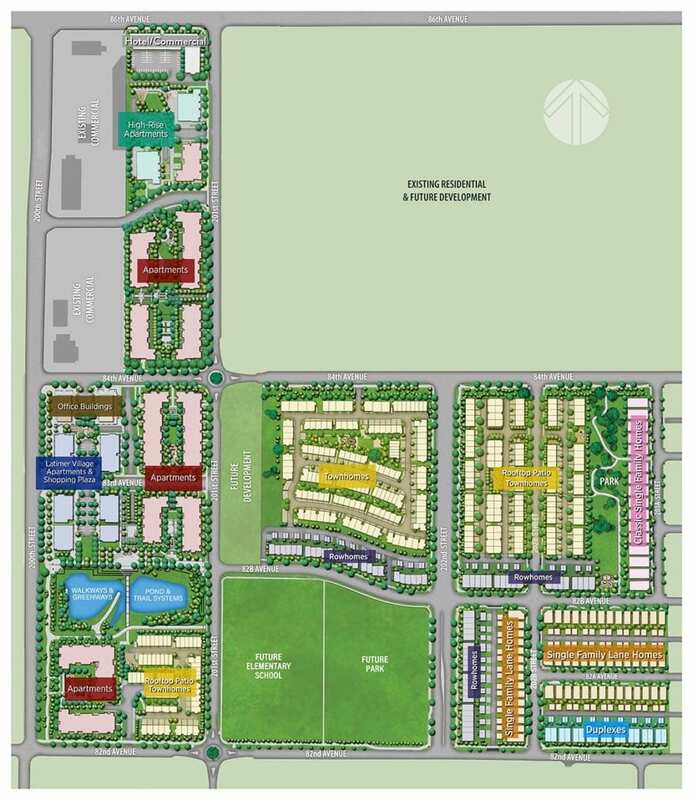 Located in the northwest area of the Township of Langley, the community will include nearly 2,000 new homes, over 36,000 sq. ft. of commercial space, 108,000 sq. ft. of office space 34 and 26 storey high rise apartments and 17 acres of parks, trails, an elementary school and green spaces. With Neo-Georgian architecture, Latimer Heights evokes a sense of something new and different while maintaining a deeply rooted familiarity. Built to foster a multi-generational community that people can invest in, Latimer is social, sustainable and serene. From Townhomes, Single Family Homes, High Rise Apartments, Rowhomes, Duplexes, Condos, Boutique Retail, Office Space and even the Latimer Village shopping district, this is a community built on a foundation of quality craftsmanship and long-term relationships. An urban centre in the heart of the Fraser Valley where families can settle and grow for generations to come.